I know that some people will argue that there are better Aston Martins available and I'd probably even agree, but the Virage has always been one of my favorites. It's one of those cars that I still remember where I was the first time I saw a picture of one. 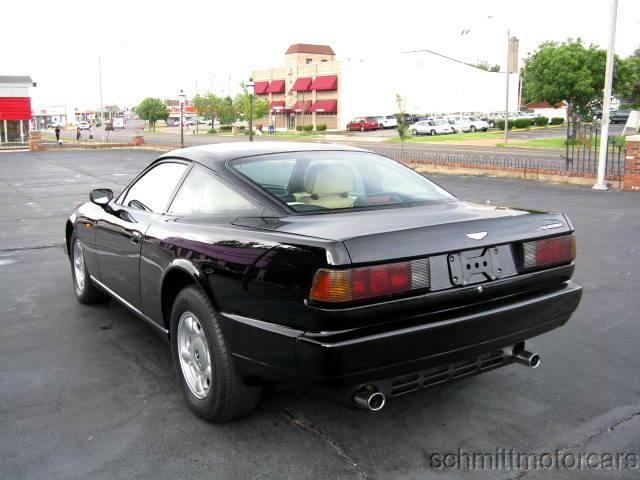 The Virage came with an Aston Martin V8. 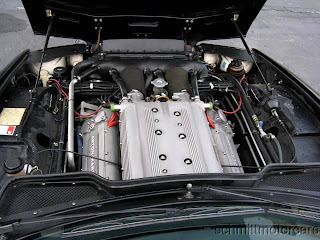 The engine was developed in cooperation with Callaway Engineering and was fitted with heads that had four valves per cylinder. The fuel injection system came from Italy's Weber-Marelli. All of this gave the engine 330 HP and the heavy (just under 4000 pounds) car could reach 60 MPH in 6.0 seconds. It had a top speed of 158 MPH. This car was designed and engineered prior to Ford taking over Aston Martin. Without a parent company's parts bin to raid, Aston Martin bought some of the inconsequential parts from a number of different manufacturers. The headlights are from an Audi 200. The taillights are from a VW Scirocco. The interior uses a combination of GM, Ford and Jaguar parts. Those German headlights and taillights are attached to a stunning body. It manages to be elegant, muscular and sporty at the same time. There is nothing I can find wrong with this body. 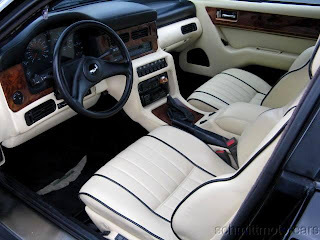 The interior is covered in leather. The dash has a typical 80's "modular" look to it, which looks slightly dated, but it still looks like a very nice place to be. Yes, I'm pretty certain that when it comes to chassis dynamics, overall performance and reliability, there are better Aston Martins available. Still, in my eyes nothing looks quite as nice as a Virage. I thought those tail lamps looked familiar. This is definitely an under-appreciated Aston. You can probably pick one up for a song, relatively speaking. It is good to hear people admiring the virage. 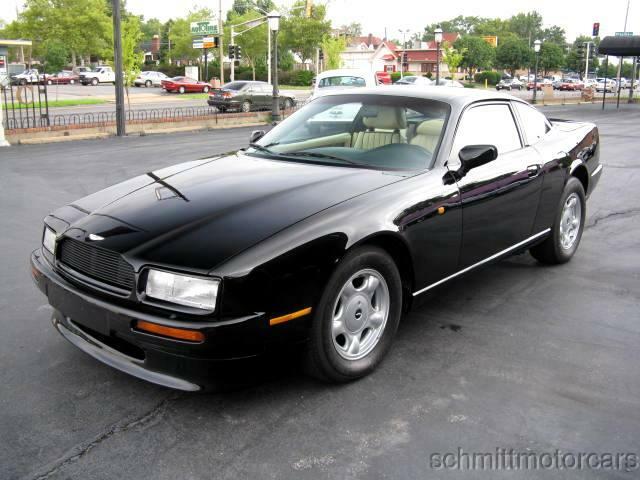 I a an owner of a 1992 VIrage... gorgeous car. Unfortunately i need o replace the head injectors and i wonder if anybody could assist me.